THE BRONX borders Nassau County.Manhattan borders Queens. The Bronx borders Queens, too. Staten Island borders Middlesex County, New Jersey. Suffolk County borders Rhode Island! But these worlds never truly come together, since all those borders are on water. 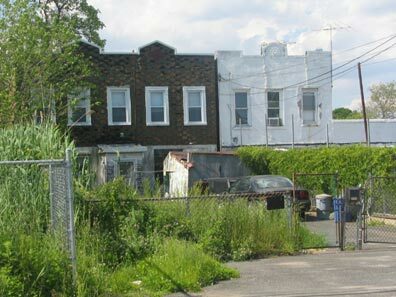 Not so with Brooklyn and Queens: these twins are conjoined, land-locked through Ridgewood, the Cemetery Belt, in an overlooked section in Brooklyn’s far east and Queens’ far west named City Line, since until 1898 Brooklyn was a city of its own. 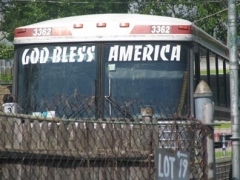 At all times, the border is undefended. But these are two different lands indeed, and things can be uneasy. A walk down the border will illustrate how. The border runs down the middle of a streetthat cartographers over the years have not decided what, exactly, to call. 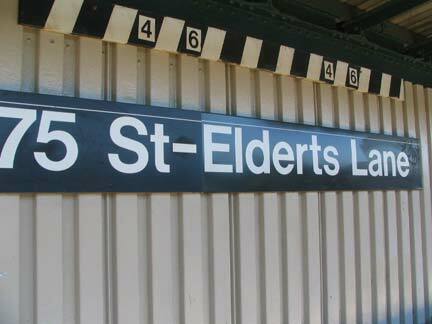 Newer maps and street signs proclaim it Eldert Lane, while the elevated train station above Jamaica Avenue calls it Elderts Lane; undoubtedly there was an Eldert at one time, and it began as Eldert‘s Lane. Lastly, it was known as Enfield Streetfor a few decades in the early 20th Century. Eldert Lane runs north-south from Cypress Hills, in the north, south to City Line. Between Jamaica Avenue and 95th Avenue, it runs along the Brooklyn-Queens border, which runs down he center of the street. 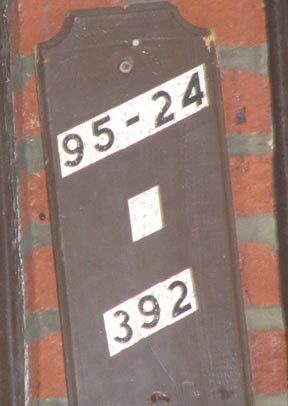 Houses on the west side of the street carry Brookly addresses, even numbers beginning with 2. 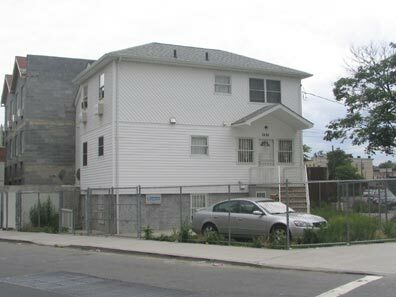 Houses on the east side carry Queens addresses, beginning with 87-01. This 1891 topographical map shows Eldert Lane running north to south in the center. 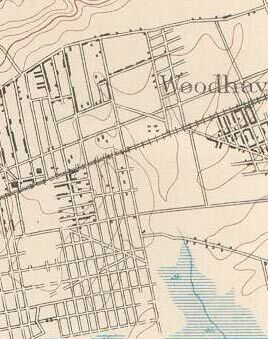 Rockaway Road, which became Rockaway Blvd., angles off to the southeast at the top of the map, while Old South Road does the same at the bottom. Map from University of New Hampshire. 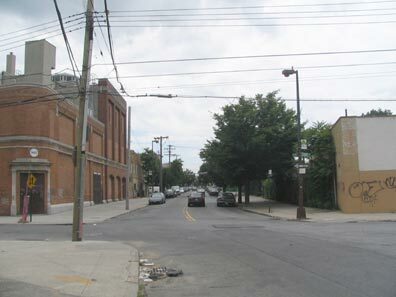 Eldert Lane is one of 17 streets that border both Brooklyn and Queens. The others are Onderdonk Avenue, Flushing Avenue, Cypress Avenue, Menahan Street, St. Nicholas Avenue, Gates Avenue, Wyckoff Avenue, Irving Avenue, Interborough Parkway, Robert Street, 95th Avenue, Drew Street, Liberty Avenue, 75th Street, Dumont Avenue and 78th Street. It wasn’t always quite so complicated. 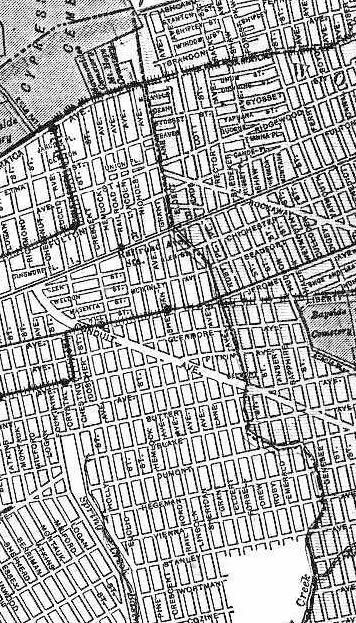 Look at the 1913 map here: while it’s likely that many of these streets were paper streets and did not yet exist, the borough line was drawn in a straighter fashion, and in the south followed Spring Creek, which came as far north as Liberty Avenue. In the 1920s, the lines were redrawn along streets, likely to avoid houses being in two boroughs and two post offices at once. 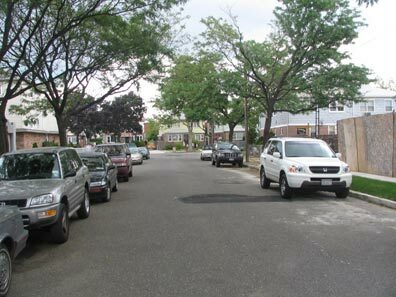 Eldert Lane is a relatively short street but it witnesses the birth and death of two important Brooklyn and Queens thoroughfares. 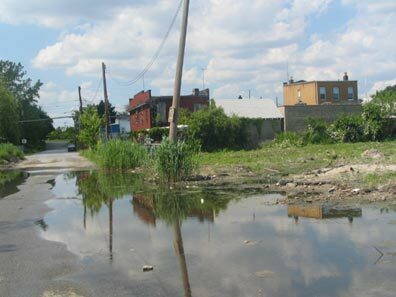 Rockaway Boulevard, originally known as Rockaway Road going back to the late 18th and early 19th Centuries, here begins its lengthy journey to the Rockaway peninsula. 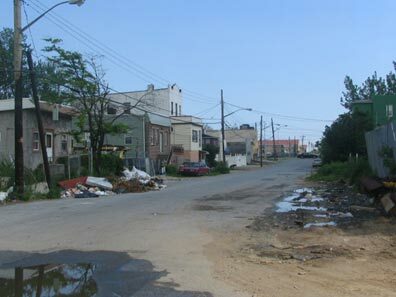 The name of the boulevard goes back to the Native Americans; the Rockaway, and their main settlement Rechqua Akie, were centered in what is now Far Rockaway, Queens, the east end of the peninsula. 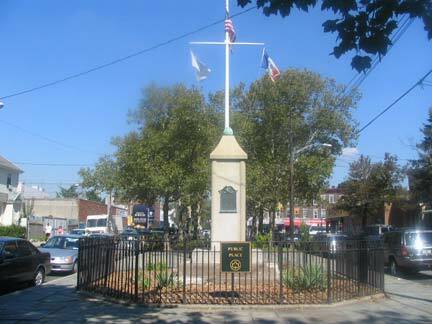 After the Governor Kieft war against Native Americans in 1645, many Rockaway moved to northern New Jersey; while after other land disputes with other Native American groups and the english in the 1680s, many members repaired to Patchogue, Long Island, where Rockaway are found today. 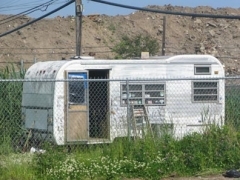 The other end of Rockaway Boulevard, at least in Queens, is in Meadowmere. 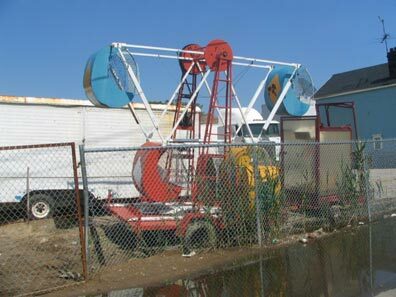 While staggering around Woodhaven (the Queens neighborhood just east of City Line) in the summer heat in 1998 I discovered a fascinating abandoned diner at Rockaway Blvd. and 91st Avenue that appeared to have been hastily deserted: the dishes were still piled up on the counter awaiting washing, with a hand-lettered sign on the door saying “closed due to illness”; varying accounts named it the Bluebird, or simply, Carl’s. 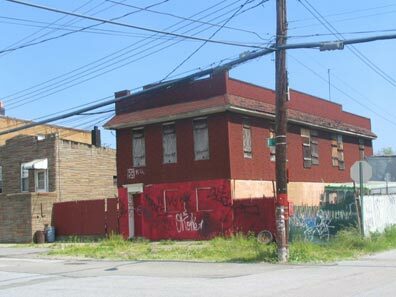 What a fascinating ancient slice of Queens this was. Alas, in the age of overdevelopment, “fascinating” and “unique” are dirty words to people who want to realize maximum value on property, and the nail that sticks up is quickly hammered down. It wasn’t easy to squeeze a boring, window-challenged frame house in this space, but it can be done, as this picture shows. We’ll leave the former abandoned diner site to its newfound mediocrity and hope the homeowners are happy. 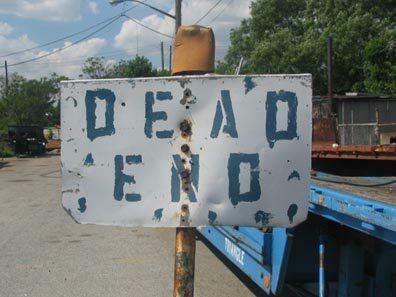 I have mentioned that Eldert Lane is the spawning ground and killing floor for some major throughfares, and we’ve already seen the beginning of Rockaway Boulevard. Just a block south is the end of Fulton Street, Brooklyn’s main shopping street, at least on its western end, and the dividing line of several neighborhoods including Crown Heights, Bedford-Stuyvesant, Clinton Hill and Prospect Heights. It also determines several of Brooklyn’s street systems, as all the avenues named for New York State cities, like Albany, Troy, Schenectady, etc. Avenues have their northern ends at Fulton, while several Bedford-Stuyvesant Avenues, Marcy, Tompkins, Throop, have their southern ends on this street, which was named in the early 1800s for steamboat pioneer Robert Fulton. Through much of the late 19th and early 20th Centuries most of Fulton Street was shrouded under two elevated train lines, the Fulton Street el, which ran from the waterfront then down Van Sinderen and Snediker Aveues. Fulton Street then enjoyed a block of sunshine before another el, the one running down Broadway from Williamsburg and Bushwick and out to Jamaica, covered it again. 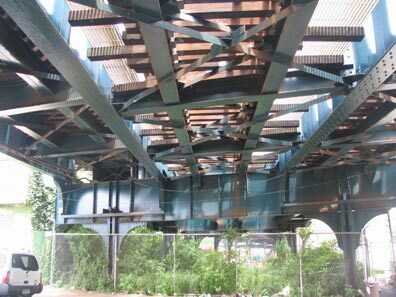 That line is still extant and indeed, some of its 1870s steelwork can still be found above Fulton just east of Jamaica avenue. The last building on Fulton Street, #3480, is the old W.M. 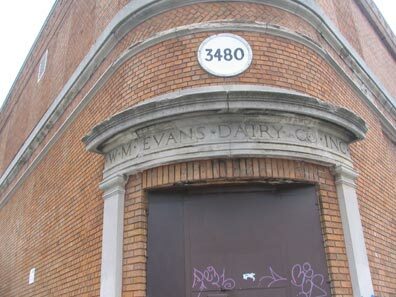 Evans Dairy. 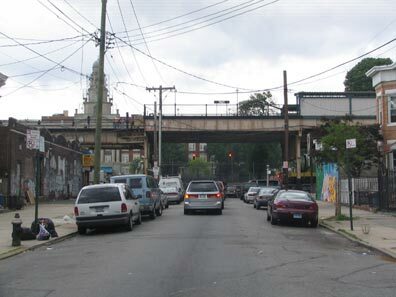 Eldert Lane crosses busy Atlantic Avenue, under which busy LIRR main line tracks tunnel, and the Brooklyn-Queens line turns east at 95th Avenue. This was a pivotal intersection for me in the 1970s and 80s. Till about 1998, you could find at this corner a vintage 1940s T-Pole mast, complete with original incandescent lamp and fire alarm light mounted below its crossbar. After I posted the lamp on a FNY page, the Department of Transportation got wise and replaced it with a standard issue T-Pole mast. I would constantly visit the corner every so often, just to see if my old friend was still there. 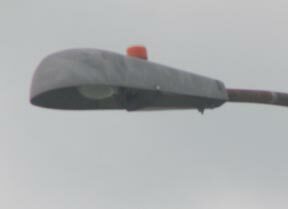 I was ultimately disappointed: such is the life of the vintage light pole maven. 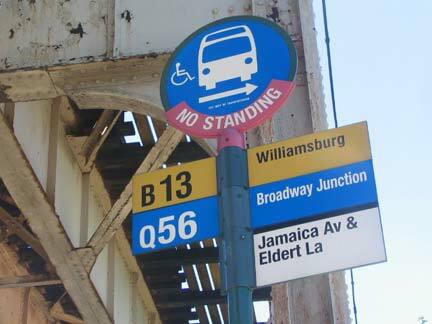 95th Avenue carries the Brooklyn-Queens border for two blocks between Eldert Lane and Drew Street. 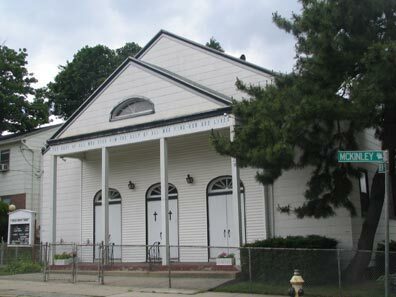 It does not carry any Brooklyn-type addresses on its southern side, which is in the former City of Churches. The B-Q border turns south again, along Drew Street. 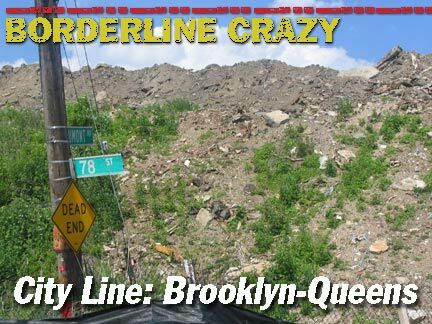 Some “borderline” streets in the area maintain a Brooklyn street name, while other, like 95th Avenue (formerly Chichester Avenue), 75th Street and 78th street keep Queens numbers. 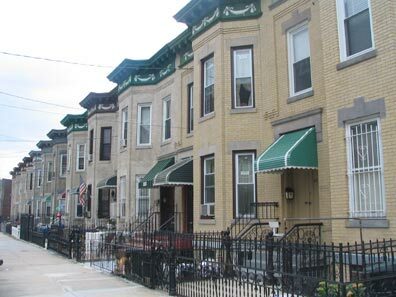 Along the Brooklyn (west) side of Drew Street, though, there’s a schizophrenic vibe as many houses have Queens-style hyphenated addresses conforming to street numbering, while many houses have both Brooklyn and Queens addresses. The battle between locales is ratcheted up a step further east: in Bellerose, the Queens-Nassau line runs down the center of Jamaica Avenue, which is called Jericho Turnpike on the Nassau County side. 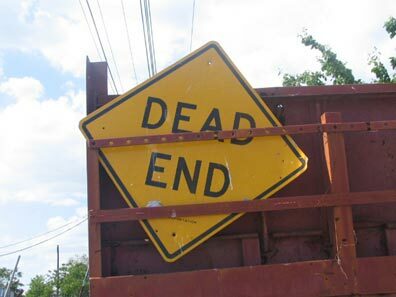 The local politicos recently voted to rename Jamaica Avenue Jericho Turnpike, to conform with the southern side and reduce the confusion. 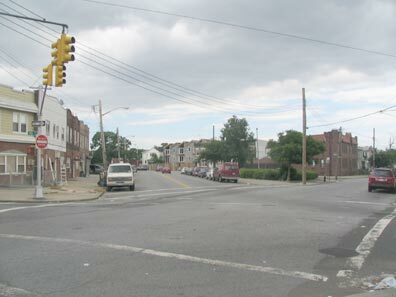 Suspicions linger, though, that Bellerose wished to disassociate itself from Jamaica, a couple of neighborhoods to the west; however, residents say that it represents only an effort to avoid confusion, and it is easier to rename the Queens side, since the Nassau side is represented by a number of municipalities. 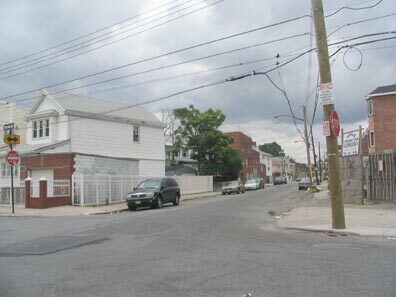 In Rosedale, the Queens-Nassau line runs down the middle of Hook Creek Boulevard, which is called Ocean Avenue on the Nassau side; it seems to bother the natives not in the least. Where Drew meets McKinley we find the unusual Euclid Baptist Church, and even more unusually, a ’52 Ford with “Fordomatic” automatic drive in the driveway. Thanks to FFs Pat Redmond and Dan Bernard. 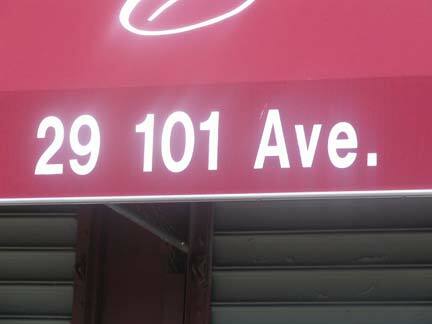 As Drew Street, and the B-Q border, run south, they cross 101st Avenue, which, for a block between Drew and Forbell Streets, is the one and only street carrying a Queens number that runs wholly in Brooklyn. 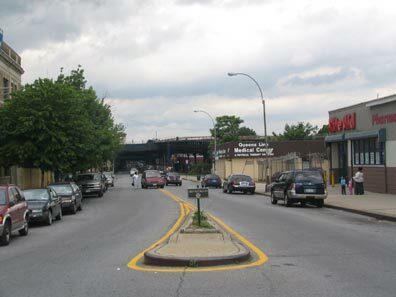 101st was formerly known as Jerome Avenue, but when Queens streets were numbered in the 1920s, it was decided to not maintain just one block of Jerome and so 101st was extended into Brooklyn. 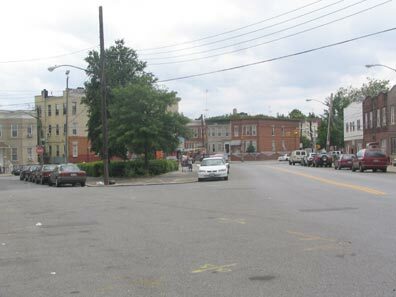 It winds up ending at Liberty Avenue (left) which carries the B-Q border for one block. We see a Brooklyn house number on Chiarelli’s Religious Goods. 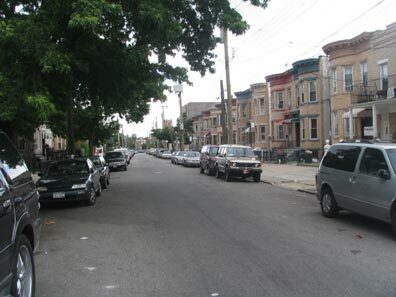 According to some accounts, Liberty Avenue, a lengthy road running from Brownsville to Hollis, is so named since it was always free of charge and never tolled, as streets like Jamaica and Flatbush Avenues were long ago. 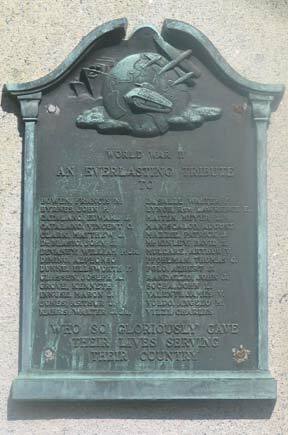 In 1943, before World War II was over and victory was still very much in question, the neighborhood raised this memorial in an Eldert Lane median south of Liberty Avenue. Several streets in East New York continue briefly into City Line and then across the B-Q line into Ozone Park, where they are either stopped cold by Bayside Cemetery or continue for miles into southern Queens. 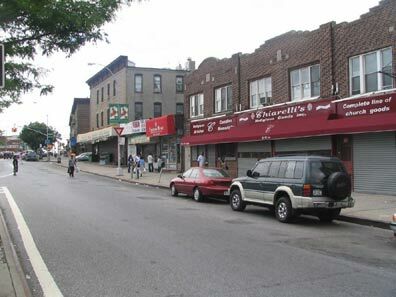 Here, Belmont Avenue, a main Brownsville shopping street, exists as a one-block lane. 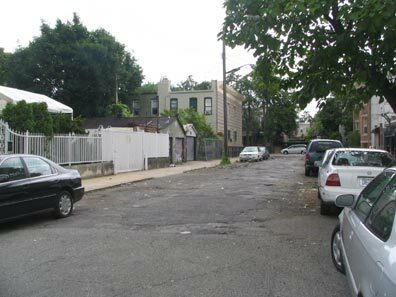 Old South Road, one of Queens’ oldest roads, still exists here on the Queens side between 76th and 77th Streets. 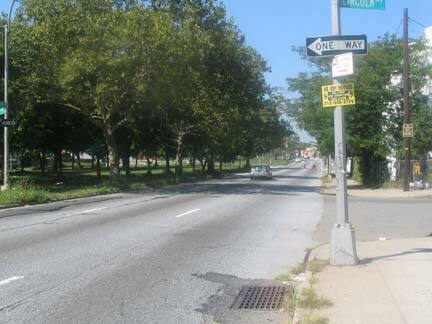 The road once ran along the Queens southern shore all the way to Laurelton. 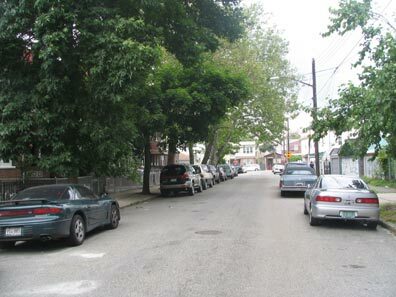 Much of it was eliminated by Idlewild (later JFK) Airport, while other stretches were assumed into the paths of Pitkin Avenue and Albert Road in Ozone Park. Ancient lamp fixtures can still be found in out-of-the-way places. Old South Road still harbors an old Westinghouse DEO-1 Silverliner, which eschewed glass reflectors. These once lined many of New York City’s side streets, especially in the boroughs. 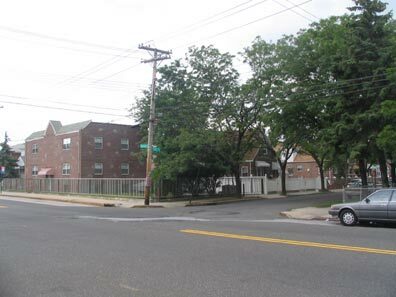 The otherwise nondescript corner of Pitkin Avenue and 76th Street, a block east of the B-Q line, is shown here because of an ongoing urban legend. In the early 1950s, the IND, formerly ending at Euclid Avenue, was extended into Queens by building an elevated connection (right, above 75th Street, the B-Q line) to the old Fulton Street El, whose Liberty Avenue stretch was retained after the rest of it had been removed. However, there was a capital plan to extend the IND into southeast Queens, and a proposed part of the route would have it running along an extant LIRR branch. The plan got so far as construction of a new 76th Street station under Pitkin Avenue. Its presence has neither been fully confirmed or flouted, and as such, has to be considered the same way those aliens in Roswell are: not bloody likely. 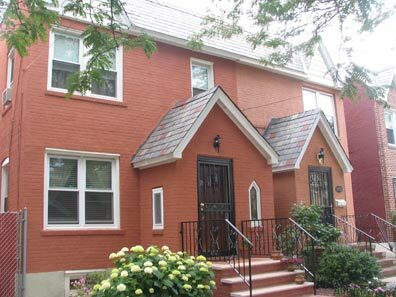 We have seen that City Line is a pleasant, tree lined neighborhood featuring homes like this one on 79th Street. 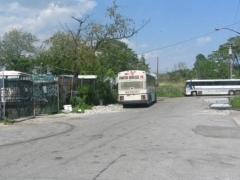 South of Conduit Boulevard, however, its aspect changes considerably, a fact that has something to do with Spring Creek, which formerly defined the city line itself before the boundary was placed on mapped streets. 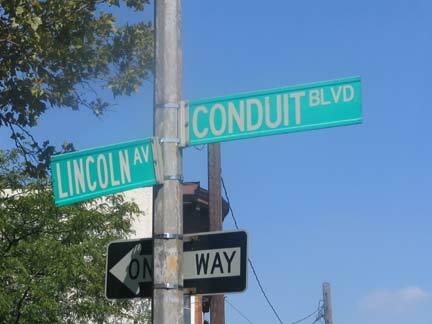 Conduit Boulevard is a six-lane speedway with a weedy center median running from Atlantic Avenue to the B-Q line, where it becomes North and South Conduit Avenues: they assume the role of service roads for the Belt Parkway, which joins them just past Cross Bay Boulevard in Lindenwood. At one time, the entire stretch was known as Sunrise Highway, named for its eastward reach to the south fork of Long Island; for the last few decades Sunrise Highway has begun at Laurelton Parkway. 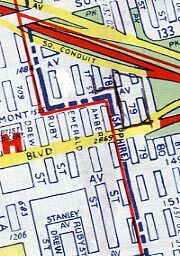 The “conduit” roads are so named because they replaced an aqueduct that began at Ridgewood Reservoir in the cemetery belt north of Cypress Hills and continued out to a now-ruined water works that partially supplied Brooklyn and Queens water near Freeport. Aqueduct Raceway and Cypress Hills’ Force Tube Avenue also recall this aqueduct. South of Conduit Boulevard we enter what seems to be a different planet. 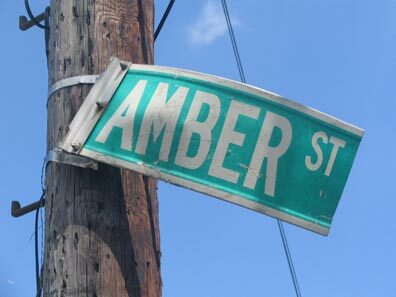 Here the streets are oddly named for gems: Ruby, Emerald, Amber and formerly Sapphire. 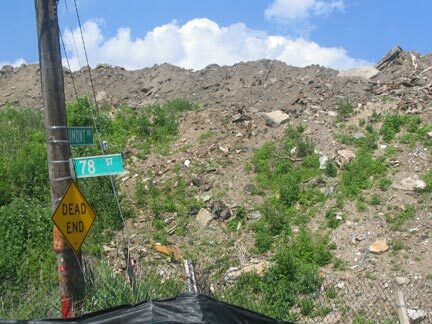 The roads and homes are built on landfill over Spring Creek. 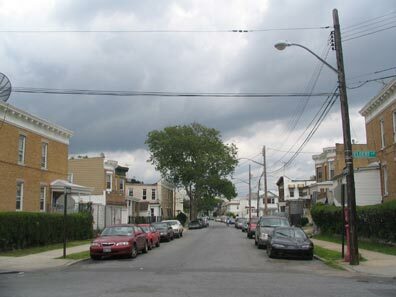 The community is cut off on all sides, on the west by Linden Plaza Houses, which were built atop a subway yard; Conduit Boulevard on the north and east; and Linden Boulevard on the south. 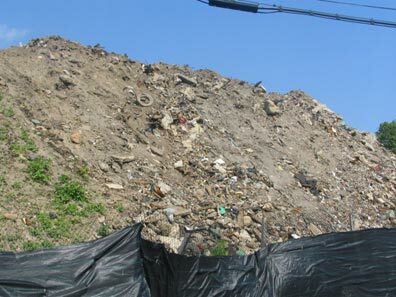 Few homes are built on the empty lots, while sidewalks are missing and garbage piles up on the shoulders. 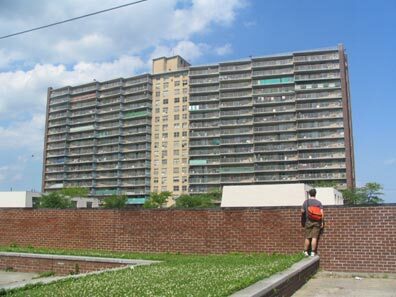 The Linden Plaza Houses can be seen from a smaller project, a group of townhouses actually built on top of the Pitkin Avenue subway yards. Peeking over the wall can get one in trouble. A local busybody called the cops on your webmaster and the day’s cohort, Mike Epstein of satanslaundromat. It took the cops about an hour to catch up to us. 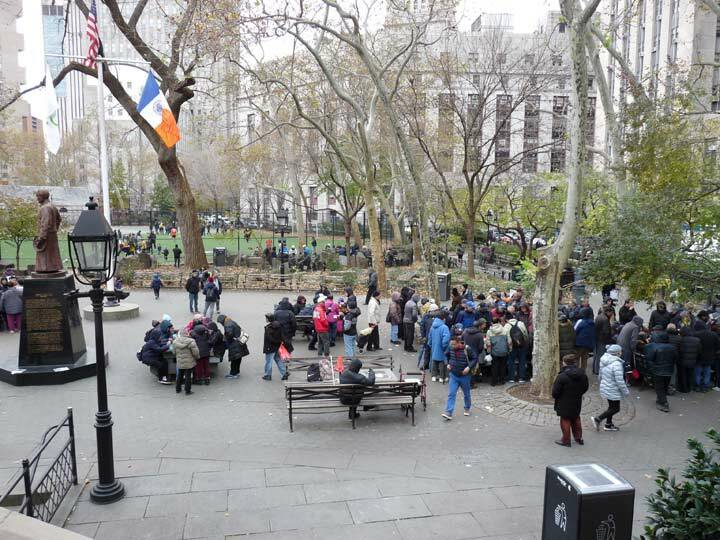 The men in blue began with the usual gambit of reminding us that we really shouldn’t be here since it’s a very dangerous area, and demanding ID. What have we learned today? Be careful when peeking into trainyards. I wouldn’t frequent here alone or at night, but you can go anywhere if you bring along common sense. Actually I have cycled past this area many times because I used to cycle from Bay Ridge to Ozone Park quite a bit when I lived in Brooklyn. But I had never thought to actually prowl around, and so missed some of the more desolate urban aspects you’ll find since the bad old days of Charlotte Street in the South Bronx. This isn’t that bad but it’s still pretty ruined. 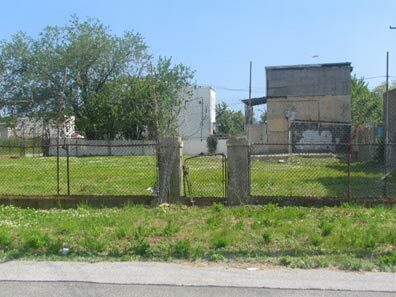 This is Blake Avenue at 75th and 76th Streets, showing a long-gone building with gate posts. 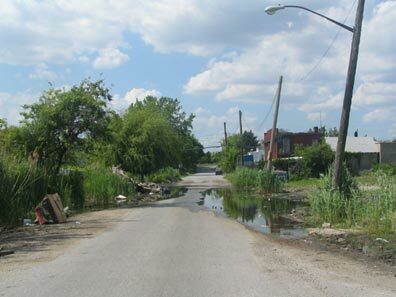 75th Street is pretty much a mass of puddles and weeds as we approach Blake Avenue north of Dumont. 76th Street. You got that right, as Tim McCarver would say. 77th Street south of Blake. A bus storage yard also harbors old kiddie rides. …and a three-story-tall mound of dirt. I dub thee Mount Bloomberg. Whaddya think? Could Corcoran handle this? For your webmaster this is the true New York, this is NYC with pretense and artifice stripped away. Amid the abandoned trailers, barking watchdogs, and baleful eyes of neighborhood denizens and local cops who wish I would just go away, I have found a purpose chronicling their existence. Photographed June 6 and June 19. Page written July 3, 2005. Wonderful article! 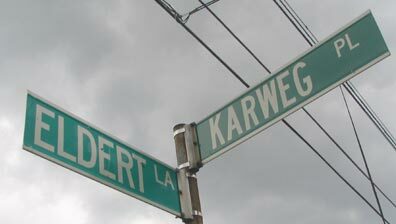 I was looking for more information on Karweg Place. Did you come across anything in your research? Thanks. Wow,good memories. I actually lived at 474 Drew St. back in the early 1950’s. I walked to St. Sylvesters School and remember going to the Cypress Hills municipal pool.Would love to see more pictures of the area. Anthony: I went to St. Sylvester’s school and I know we were in the same class. I still have my diploma from 1958. I lived at 431 Eldert Lane on the corner of Mc Kinley ave. Wonderful old neighborhood. My son, who just retired after 20 years, was in the 75 th precinct and patrolled the area. He remembered it from visiting my parents. I have been back there not too long ago……lots of changes. August (Augie) Mazzarelli. myself and live in Shoreham,NY. I worked for a swimming pool equipment distributor doing design work on pools, both residential and commercial. I still work 2 or 3 days a week, in season, if they need me. I have three children and my wife had 3 children, by a previous marriage. Together we have 10 grandchildren, which keeps us very busy. Be well, stay in touch. Ps… Yes your correct …… The old place ain’t the same anymore…. Also I lived next door to the Deppert family and The Scaduto and Licarta families…. I lived on Sheridan Avenue between Liberty and Glenmore. Billy Schramm lived on Glenmore near corner of Sheridan. I played street sports with Eugene and Billy. Billy was killed in Vietnam , April 1968 during miniTet. He was with 16th Inf. of 1st Inf. Division. I loved your effort here! I lived at 1155 Glenmore Avenue in the 60s and early 70s. 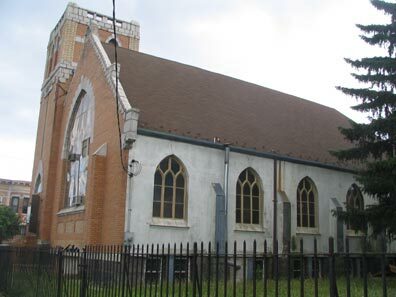 Attended both St. Sylvester and Franklin K. Lane. Many a day I walked Elderts Lane from Glenmore to classes at Lane. Amazing that it still looks the same. I especially loved the pictures of The Hole ( that neighborhood between Linden and Conduit. It still looks like a mess! I lived at 528 Grant Ave. Just one house down from St Sylvesters School. Went to P.S. 214 and Graduated from F.K. Lane in ’65. City Line was great back then. Love to hear from people from the old neighborhood. 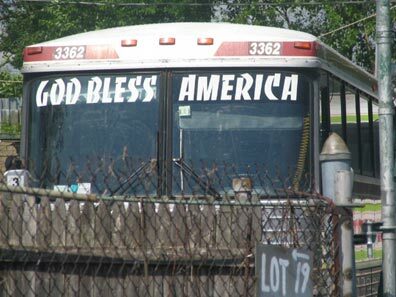 No emphasis on “hood”. Hi Ed… Also went to JHS214 then onto ENY Voc Tech HS…graduated 1968. Do you remember the meat market on Liberty and Grant? Former resident of Sapphire Street and student of St. Fortunata’ s.
Would love to see some updated pictures to see if the diner or the Bagel Bin is still around. 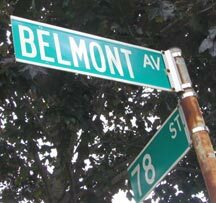 I lived on 75th Street, a few houses north of Atlantic Avenue until we moved to Richmond Hill in the late 1940’s. My older brother Joe recalled a fire at the Evans Dairy in the 1940s and he said cows were running around the street. I lived there from birth in 1944 until 1949. 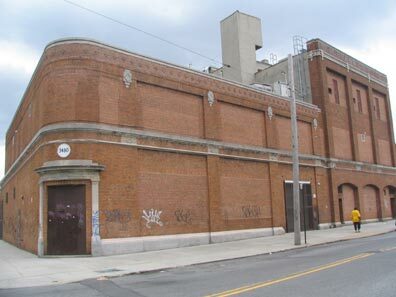 Eliot hit me with a dodgeball at the after school center at PS214 about 1966. Dislocated my finger. I went to Intetboro General Hospital, but Dr. Morton Morris wouldn’t reset it until my mother went back home and came back with her checkbook…. I grew up quite a few blocks to the west (11207), van sicklen and pitkin, to be exact. Rode past city line on our way to relatives homes in Queens… That was in the 60’s and 70’s. The diner was called karls first. Then after Karl passed his son in law Pete took over with Karls daughter Ellie. 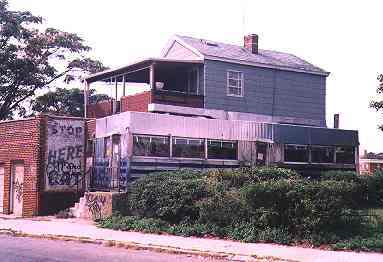 The Blue Bird diner was located on the intersection of Rockaway Blv. and Alantic Ave and transformed to a 24 hour newstand were it is still operating. Behind the newstand was the Patio club. Karl had a son a few years younger than Ellie. His name was Richie. We played a lot of punchball on Elderts Lane, down the street from the diner, where my parents had a candy store in the early 50s .Karl made the best hot open roast beef sandwich with mashed potatoes i’ve ever tasted, and that was over 60 years ago. Heey there! This post couldn’t be written any better! Pretty sure he will hve a good read. Many thanks for sharing! Karl served the best hot open roast beef and mashed potato plate. He had a son, younger than Ellie, whose name was Richie. Richie was a constant in our Elderts Lane punchball games, which were played down the block next to the little triangle park, across the street from Ella and Daves candy store that my parents owned in the early 50s. I remember playing punch ball on Mc Kinley and Eldert Lane, If you hit the ball into the St,Sylvester Parrish house, on a fly, it was an automatic double. Karl’s dinner did have excellent hot roast beef, but I also remember excellent meat loaf with gravy and mashed potatoes. Those were the best days of my life. Slow, easy and always full of friends. Thank you very much for sharing your knowledge and passion and your urban explorations. You, obviously, are doing very important work. And congratulations on your recent award from GAYNC. I was wondering if you have any knowledge, or if you know where I could research the source for the origin of my namesake street, Drew Street, in Brooklyn. Coincidences of coincidences, I biked past this street for the first time in my 22 years living here yesterday. And I hope to participate on one of your urban exploration tours one of these days. The diner photo u show is from diner owned by Carl Schuld who opened it in 1930’s he passed in 1987 and i believe his daughter and son in law continued it until they both passed i know this because my grandfather’s service station was down the block on corner of 91st ave and elderts which is now an apartment building.My grandfather opend the shop gas station in 1946 and my father closed it in 1994 both of them named Ralph Wilson it was named Lane Service station. Nice to hear Janice my grandfather who opened the station died in November 1972 and my father his son Ralph passed away on October 27,2015. 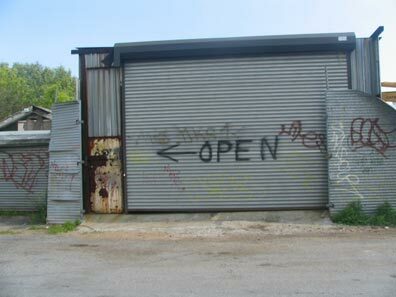 That place was truly a real part of my father’s heart and I am certain he truly loved taking care of your car. I have so many memories of there,really too emotional for me to talk on now as I miss my father. I can see him now in my mind in his element that he loved so much. 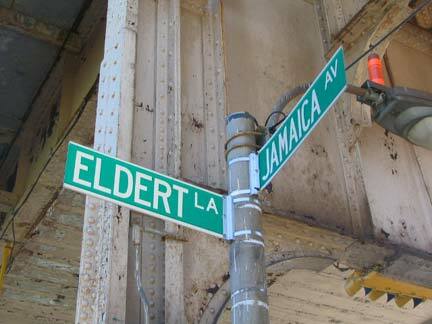 I grew up on Lincoln Avenue, between Jamaica and Etna. One of my outstanding memories, was of a young man, known as General Custer, who very often was seen standing in the doorway of a corner store at the intersection of Jamaica and Elderts Lane. He seemed to be watching over the neighborhood, and received silent respect. He was quiet, and he gave us a sense of security, as he stood there and kept watch. I lived in the neighborhood from 1958, through the late summer of 1971, and spent a lot of time walking the neighborhoods of Cypress Hills. 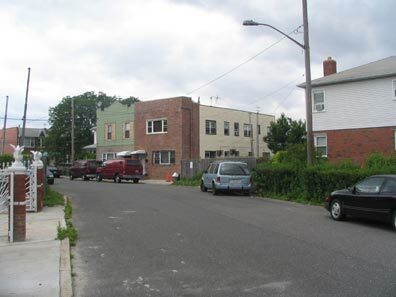 When we then moved to New Jersey, I did miss walking and seeing the people and sights of the neighborhood. I was wondering if anyone else remembers General Custer. What’s up it’s me, I am also visiting this web site on a regular basis, this website is actually nice and the people are really sharing good thoughts. Who was the guy who used to walk around with all different shoes in the 80’s? 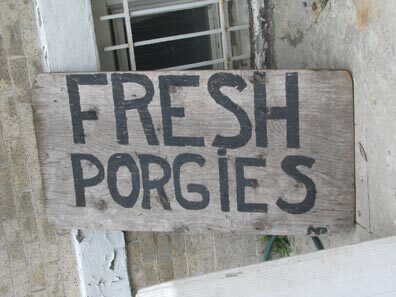 I think he had a storefront on Liberty between Forebell & Drew, next to Ariola’s Bakery. I can”t believe you remember that guy! I lived on 78th street between 95th ave and 97th ave.. That being 78th street one and a half blocks south of Atlantic Ave and one and a half blocks north of 101st Ave. We were always going to CityLine..Remember Dave’a clothing, Thom McAnn shoes, The Earle Theater… so many other stores too. Back to the the guy with the shoes… Was it the chubby man that looked like a biker? Always carrying shoes and sometimes catalogs featuring very tacky clothing? He was trying to sell that stuff. 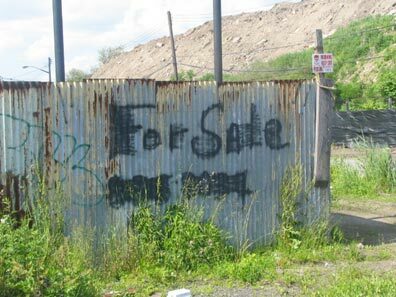 Never saw anyone buy from him. I remember a block or 2 south of Liberty at 76 street were 2 houses that overdecorated for Christmas. As kids we loved to see those houses. 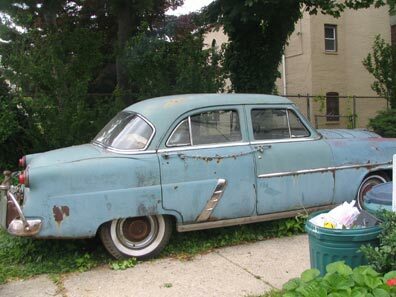 One was owned by a client of my father and we would sometimes visit around Christmas and the inside of the house was just as overdecorated as the outside.I could go on endlessly about that neighborhood…. many wonderful memories and a good childhood. Yes! It was the chubby biker with long hair. For some reason I’m picturing Iron Maiden shirts, but that could be just my imagination. We bought our shoes at Pat’s Shoe store anyway, next to the Anchor Bank. Chiarelli’s recently closed and moved to Long Island. I think they were the last big hold out. The biker lad was known as “Junior.” No idea where he lived, or what became of him. I always wondered how the guy with the shoes earned a living. He was always just walking around holding shoes. I lived on Forbell Street off of Atlantic Ave. I walked to City Line daily to buy bread from Castelli’s. It was a great neighborhood back then. I graduated from St. Sylvester’s in 1966. What street was it on? Yes, it was Jerry’s. I lived on 76th Street between Liberty and Glenmore. 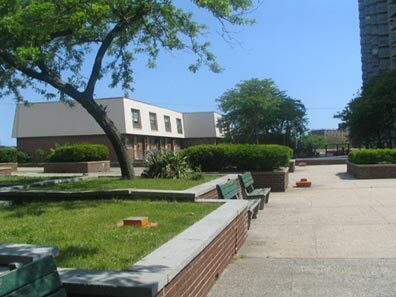 I went to PS 214, graduated in 1957. Jerry Parente. What a character…. Record store’s name was Jerry’s. 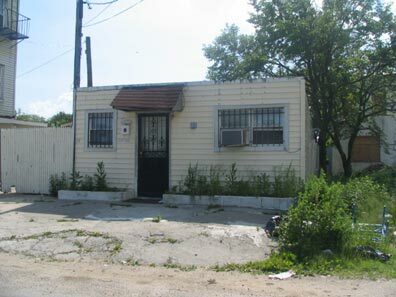 I grew up at 603 Eldert Lane, right off Conduit Blvd and just around the corner from PS 214. Went to school at St Sylvester’s, can’t believe my parents allowed me to walk to school back then alone… the world was a different place. We built go-carts from baby carriage wheels and apple crates and raced them down Pitkin Ave… I still have my sled from when we went sleigh riding in the meadow between Conduit. In the summer, Mister Softie stopped at the corner of Eldert & Pitkin (at the top of hill) and for about 30 cents I had a “dog face” cone. I played stickball and a cool purple Schwinn sting ray bike. Then came the late 60s, race riots, crime, etc…we moved to Long Island and as they say the rest is history… very sad. This is all beautiful stuff guys ! From Pat the Butcher, Rocky the Barber and Andy’s Car Service on Fulton Street, to Ariola’s, Severoli’s gelato, Aldo’s & Sapienza In City Line to the Lindenwood Diner and Bagel Bin , the area was the greatest place on earth ! I was more of a Flora’s fan than Aldo’s, but agreed with the rest.